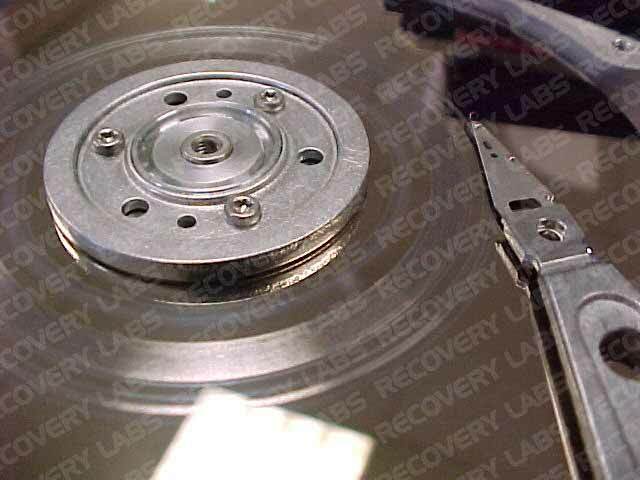 Home » Data Recovery Support » Data Recovery White Papers » Physical Damage. Hard drives. We’ll start talking about Physical faults. They make reference to the functioning of the physical components of our devices, either mechanic or electronic. They are usually the most severe and the data recovery is more complicated. In most cases, the device has to enter the clean chamber. Generally, this type of faults can be identified with a characteristic sound. In some cases, they are preceded by a system alert. An initial fault may cause other types of faults. Therefore, there are devices which present multiple faults, in many cases due to the repeated starting and shutting off by the user trying to restart the operating system. Headcrash: this term is used to designate the fault which happens when the writing/reading heads actually touch the surface of the hard disk’s plates. This fact provokes a detaching of the magnetic layer making it impossible to read or write data in that point. 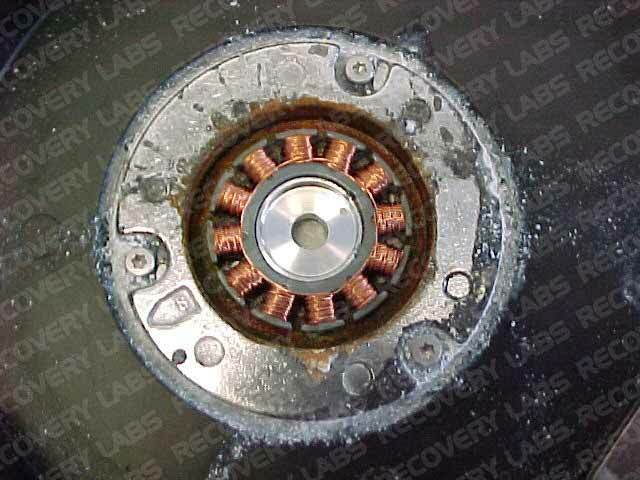 Electronics: The fluctuations in the electric current that feeds the devices may provoke faults in the electronic circuits present in the disk controller. 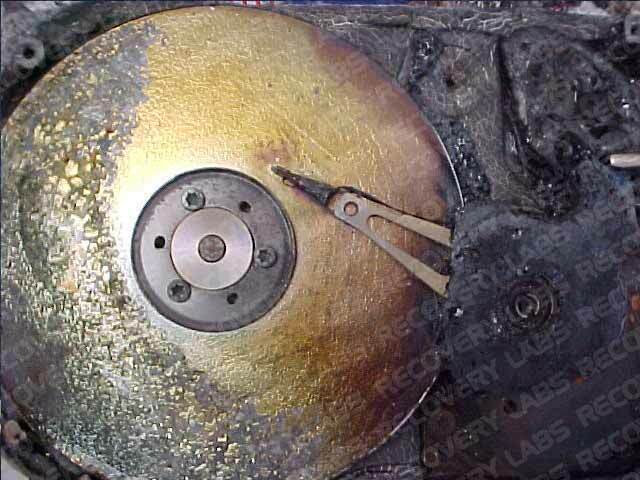 An excessive temperature may also be a cause for faults in the hard disk’s electronic components. 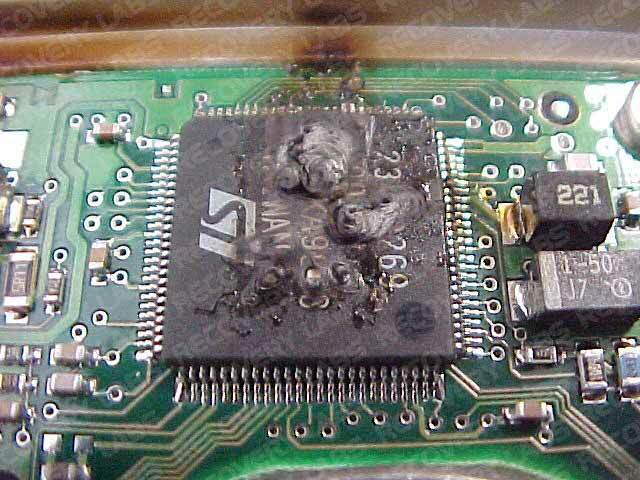 Surface degradation: It’s a fault that may affect any disk component. It is caused by the temperature variations endured by the hard disks. It causes a physical deformation of the device or any of its components, preventing their correct functioning.